Tonight, I had a bit of a practice of my stem stitch as I realised after my post last night that I had done it a bit wrong earlier, with some of my stem stitches basically being outline stitch instead. So that’s the new outline around the head. I also wanted to have a go at the armour, which I had done with gold “bullion”, ie little spirals of gold wire, in my original. 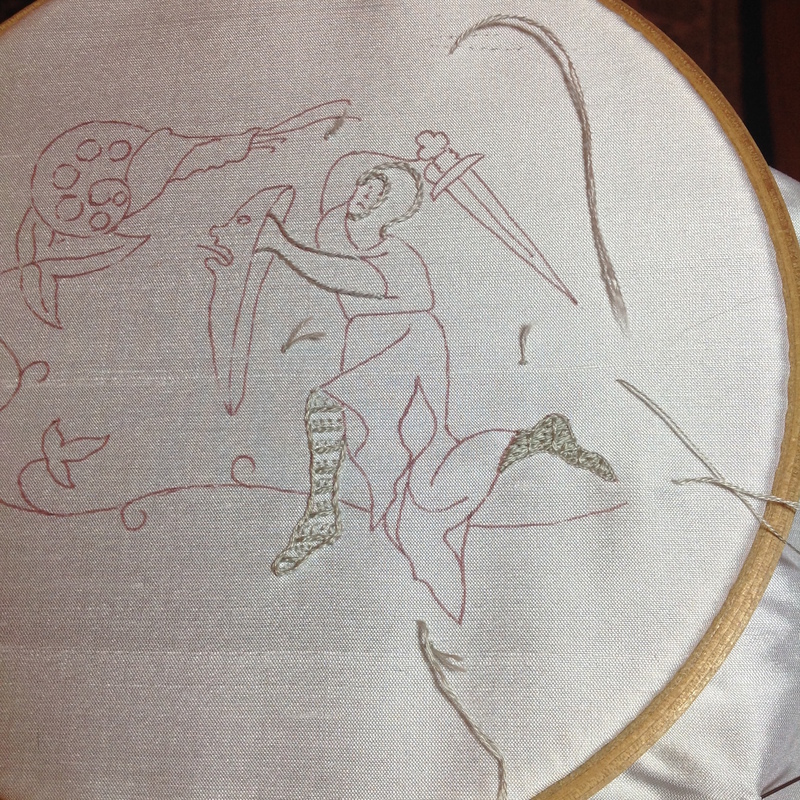 My friend doesn’t want the goldwork, just silk, so I had to think of a different way to get that armour look. I tried two techniques: First with a split stitch and small seed stitches (on the left), and then the second with a modified Bayeux stitch (on the right). I think I prefer the former, but the Bayeux stitch is more solid.